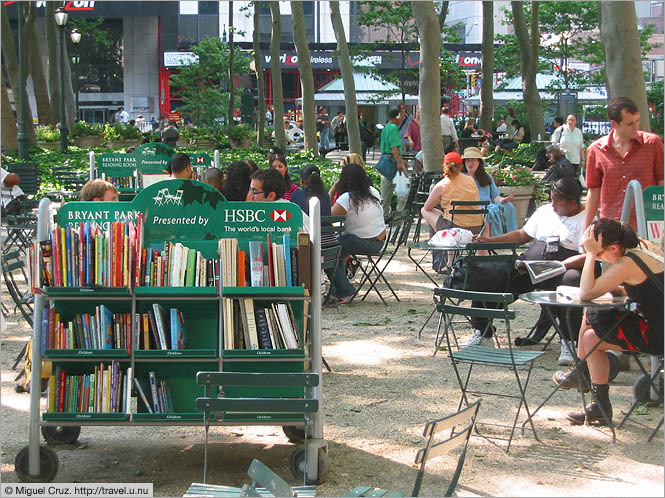 Since its rehabilitation a few years ago, Bryant Park keeps getting better and better. It's been blanketed with Wifi so that people can get work done outside. The park provides hundreds of reasonably comfy chairs and a number of tables. And now the adjacent library has started bringing out a selection of books for park users to browse.